Arden Wohl Is Very Shoes-y! Often depicted as New York's "It Girl," a sobriquet that harkens back to the 1920s and silent film star Clara Bow, Arden Wohl is much admired for her sparkle, charm, charisma, style, and zaniness. And those omnipresent headbands! Those fabulous, often elaborate flapper-esque forehead-crossing headbands! I am convinced that their real purpose is to hold Arden's huge brain in place. With her enormous dark eyes and cool girl elegance, she's absolutely magnetic. Had she been born in the '40s or '50s instead of the '80s, she would have certainly been sought-after by Andy Warhol who would have tried to position her as a favorite "Superstar." Arden has instead chosen to pursue her creativity behind the scenes, as a filmmaker, a pastry chef, and now a designer of vegan shoes. On Monday, Mercedes Benz Fashion Week featured Arden's first collection, presented at the new High Line Hotel, manufactured in tandem with Cri De Coeur, the New York based purveyor of cruelty free ethical footwear. In the roaring '20s, an "It Girl' would have also been labeled a "baby vamp," but today, in 2013, Arden Wohl is busy designing a better vamp. The obvious question is: why shoes rather than headbands? Shoes are more architectural. But we haven't ruled out designing headbands too. I'm going toe to head rather than head to toe! While there are a lot of cloth fabric headbands, there are very few great looking non-leather socially responsible shoes, with the exception of Stella McCartney's, which are more expensive. I saw a real gap. There were very few options for the younger fashionable woman seeking cruelty free shoes. I know you have long followed a vegan diet, and two years ago, you donated your impressive collection of leather shoes and bags to charity and friends (I have a lovely pair of sky blue ankle strapped wedgies, formerly yours!) How did this venture with Cri De Coeur come about? Cri Di Coeur means "cry from the heart". What makes your heart cry (aside from broken romances)? Who were your fashion icons growing up? You were definitely one! Angelica Houston and Iman! I am honored! And I am especially mad for your retro Havana-patterned fabrics, the honey colored court shoes, and the double hued color block booties. The black and gold evil eye adorned evening sandal is another favorite ! I note that you use such natural materials as raffia and cork, but the funky feels are often fabricated from clear plexiglass or polyurethane. Are the plastic parts recyclable? We use the most sustainable materials whenever possible. That's our contribution, more than any other brand. Avoiding leather is a huge contribution to the planet as factory farming is the number one problem leading to climate change. It's a very hard question with the lucite and the recyclables because the other options don't exist and the use of plastic is a complicated one. Do you think you can merge your passion for film, shoe design, and baking into one film about a well-shod patissier? Yes, absolutely! That would be amazing! Working on it now! What is the difference between "feuilletage" and "counter"? Feuilletage involves working with puff pastry while counter is the rigid part at the back of the shoe. It stabilizes the heel. I know that as a philanthropist, you are especially committed to the Endangered Species Coalition and the Nest Foundation. I care deeply about what they do. And I have recently joined the board of GEMS (Girls Educational and Mentoring Service), founded by Rachel Lloyd, the incredible author of Girls Like Us. It's based in Harlem and works to help young girls; it saves them from being commercially sexually exploited and offers great programs to open their lives and train them for better things. I had originally volunteered and was teaching baking classes there. You are often referred to as a "socialite," which is a term like "starlet" that somehow can seem belittling and sexist (even though men are now called socialites as well). Does this bother you? I just like to be called Arden Wohl. I based my shoe collection on Adele Bloch-Bauer, the subject of Klimt's painting at the Neue Galerie. She was amazing, and was certainly considered a socialite in Vienna a century ago. 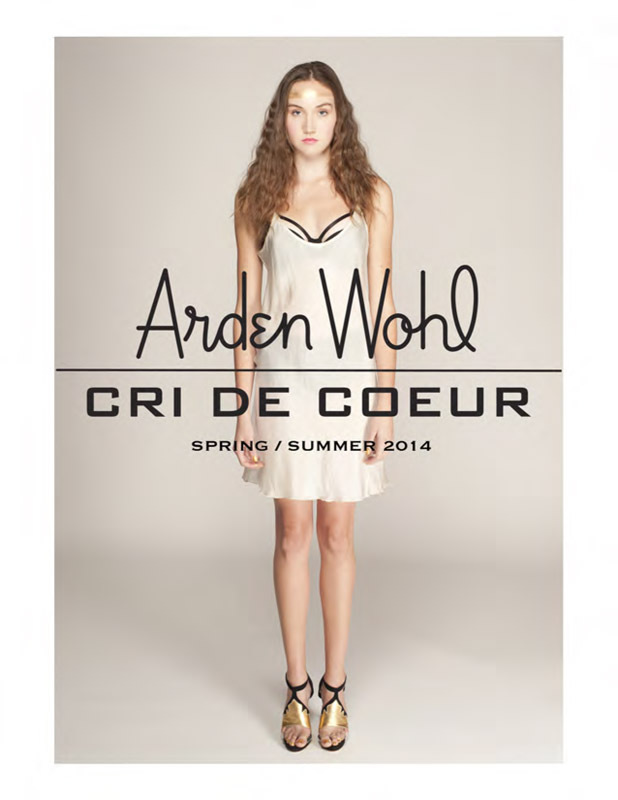 How much will Arden Wohl for Cri de Coeur shoes be selling for, and when can I purchase a pair? 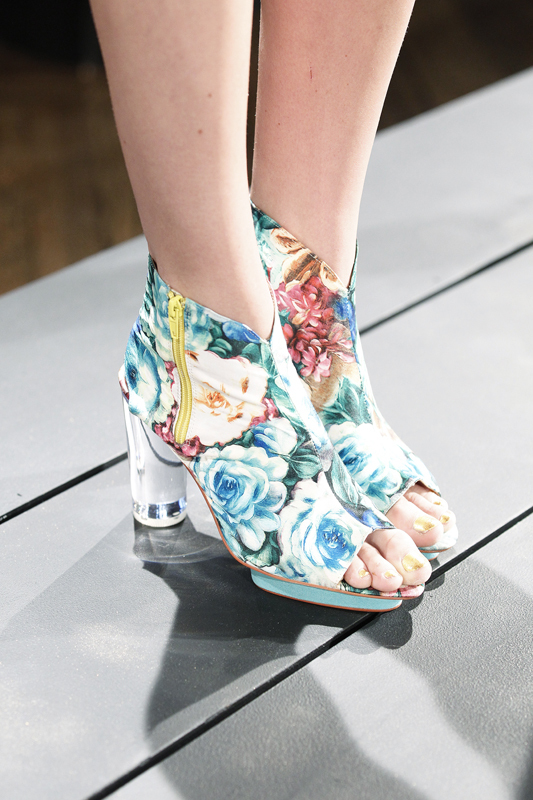 They will be in stores on February 15 and all styles are priced below $450. I once told you that you look like a combination of Gwen Stefani and Pocahontas (although I have no idea what Pocahontas actually looked like). Would you agree with that assessment? I'll take it! Someone told me I resemble the anime girl, Tomoko Kuroki. You are from a somewhat meataholic family. As a vegan, how do you handle family meals? My Dad is a vegan now too! Arden means "Great Forest." According to Mahatma Gandhi: ''What we are doing to the forests of the world is but a mirror reflection of what we are doing to ourselves and one another."